Brock’s Academy Right For Your Child? Does something just not seem right with your child’s educational experience? Does he/she seem unhappy or does it seem as though they could be doing better? Does your child have learning challenges? Is it easier for your child to learn certain subjects one-on-one? 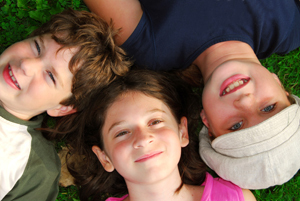 Does your child need a special education program customized for them? Is your child gifted and talented and would benefit from from an accelerated curriculum? Does your child need to make up lost credit? Has your child fallen behind due to illness or missed school days? Is your family traveling out of the country for extended period of time? Is your child working on a creative project or involved with an athletics team that requires large commitments of time that interferes with schoolwork? Has your child been bullied or suffer from social challenges that make going to school painful? If you answered yes to one or more of these questions Brock’s may be the perfect solution for your child or teen’s educational needs.